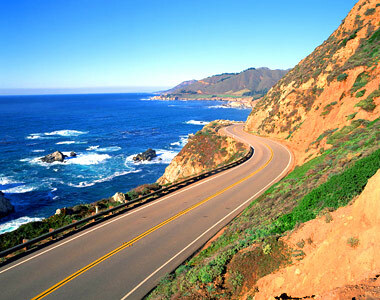 I know, I've been so excited about this trip to California next week...but I really am excited. I will miss my family but it will be great to get a way from my everyday routine for a few days. My friend and I love to learn new ways to grow our business but we also love to find craft shows when we travel. Well GUESS WHAT....we found a show to attend while in Ventura...well the show is actually 1 1/2 hours away in Seal Beach...but we get to travel on Hwy 1 from Ventura...who can no to this amazing view of the ocean the entire trip - my hair will be a mess but it's going to be so worth it! We also plan to visit a few vintage stores and get even more shopping done. Yes, I remember this trip is really to go to an amazing business conference and learn to grow my business - but we can have fun too, right? Don't worry - I will update my instagram, twitter and Facebook while I'm gone and will have a recap of the entire trip here on my blog when I return. - get my hair done - yay! Have a great Sunday everyone...I need to get to that to do list. I'm headed to California in two weeks and am super excited as well. I wish I'd learned about Craftification sooner so that I could've scheduled my trip sooner. Melissa - I hope you have a fun time in Cali...you should keep an eye out for the conference next year. AND Melissa, your shop is so cute...I'm showing one of your items on my Facebook this morning...really cute stuff! Yay! Hi Tisa!! We can't wait to meet you and Lani! We are thrilled you gals are making the trip to Cali and coming to the boutique! See you Saturday! eeekkk!!! Yay Tisa! 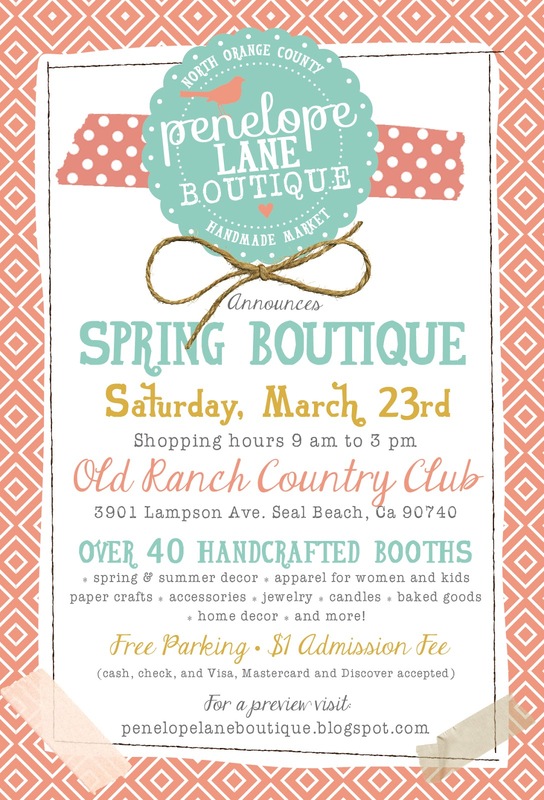 We are so excited you and Lani are coming to the boutique on Saturday! We look forward to meeting you both! Hello Tisa- I'll be at Craftcation too! I can't wait until tomorrow! I was a vendor at Penelope Lane Boutique last December. Sarah and her mom are so sweet. 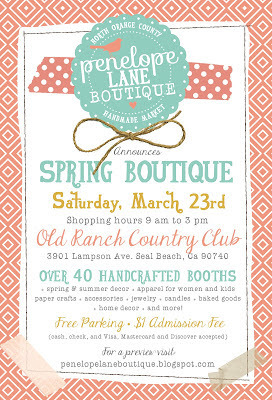 Unfortunately for me I had to choose Craftcation or Penelope Lane for this weekend. Luckily they have two other boutiques planned this year. Hope you and Lani have a great road trip- maybe I'll see you at Craftcation!